The gentle, softly foaming vegetable-oil-based soaps are suitable for everyone in the family. 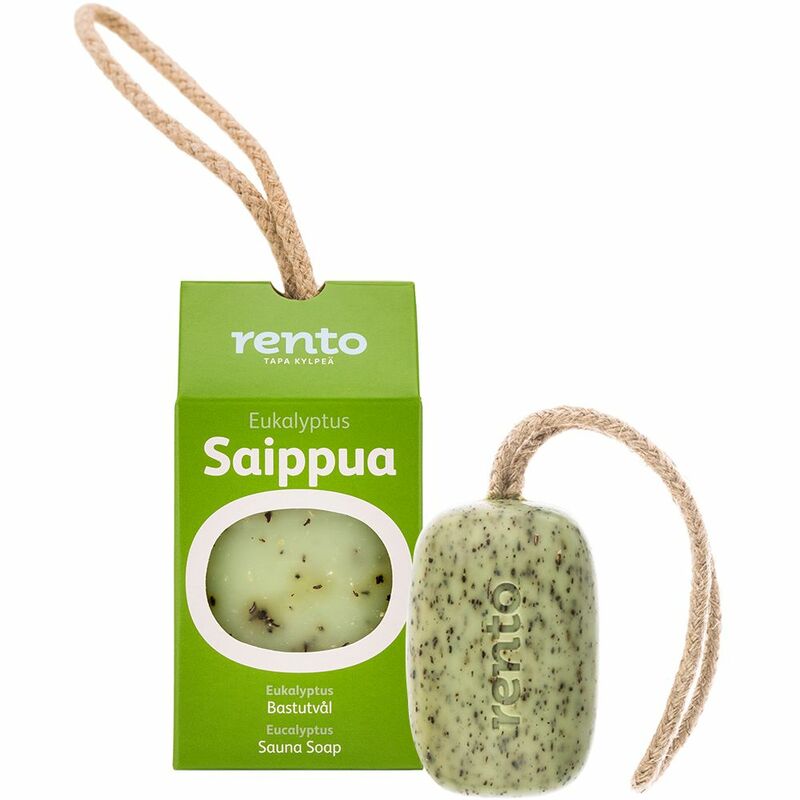 Redesigned sauna soaps are now shaped to fit comfortably in your hand. The soap has a lovely jute twine cord, so you can hang it within reach whenever you need to wash up.